Based in Vienna, Verena Gayatri Primus is a registered Yoga teacher at the highest level in the Yoga Alliance (E-RYT 500). Her specialty is an in-depth private Yoga education for Yoga students and teachers who prefer a more individualized based Yoga practice. She is a Certified Ayurvedic Specialist and Ayurvedic Yoga Therapy Teacher from the California College of Ayurveda. Gayatri, is also a certified Yoga of the Heart Teacher, bringing into her Yoga teachings the timeless healing wisdom of Ayurveda. As a mother of two baby sons and a trained DONA Doula she has created a special Pre-and Postnatal Yoga program to help women prepare themselves holistically for birth and for post-birth recovery. Gayatri’s classes and teachings instill a deep respect for the healing and calming effects of yoga while creating an opportunity to practice self-care. Her classes are also very engaging and fun! She is often seen encouraging her students to focus on the flow of their breath, while keeping steady postures and alignment. Gayatri gently cultivates a consistent regular practice for her students’ benefit. As a former professional dancer, Gayatri performed with the Vienna State Opera Ballet in Vienna and the Alvin Ailey Company in New York, where she was first introduced to Yoga and Healing in 1994 . She is the founder of Bhakti Yoga Dance, a lyrical and feminine Yoga style that marries Yoga and Dance as a performing art. Gayatri began her studies in a variety of healing body therapies such as, Reiki and later Esalen Massage, Trigger Point therapy and CranioSacral therapy at the Esalen Institute in Big Sur, California. In the year 2000, she completed her first Yoga teacher training at Sivananda Ashram Montreal. It is then, that her daily Yoga asana and meditation practice became the central thread, informing all aspects of her life. Gayatri has been teaching Yoga ever since! 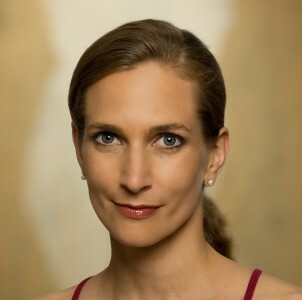 The root of her personal practice began as a teenager in Vienna. Gayatri had an extraordinary experience that lit the fire within her and ignited her path as a seeker of life’s truth. This search has transformed itself over the years into a great love for silence and service, dedicating her life to Yoga, Ayurveda and her family. To read the article “Tanzen mit der Mutter der Weisheit”( “Dancing with the mother of Wisdom”) which is about Verena Gayatri Primus, please go to this link of dieStandart.at. If you want to make Yoga an important part of your life, you have found the right teacher with Gayatri.